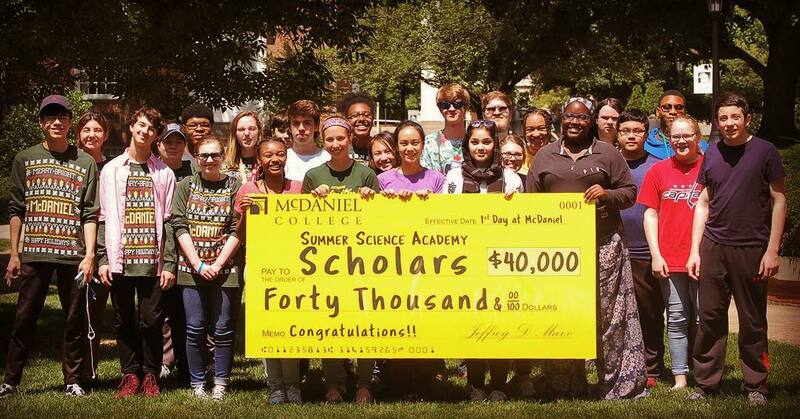 Students not previously accepted to McDaniel College will earn a guaranteed minimum $40,000 scholarship to McDaniel College upon enrollment if they have successfully completed just one week of the Summer Science Academy in any course! Students will have an awesome experience learning about topics in science by working on interesting projects with sophisticated instrumentation and techniques and hearing directly from scientists and professionals in the field. Students will gain a strong and realistic perspective about what a college-level science experience is like and what college life is really about. For each summer science course in which a student enrolls, they will earn one credit hour from McDaniel College, a well-recognized, accredited institute of higher education. This credit may be used if you enroll in McDaniel as an undergraduate or transferred as an equivalent course to whatever college a student decides to attend.